I know I'm probably in the minority here, but I'm not a fan of Autumn. At all. I'm a complete sun-worshipper and live for the summertime, so when the sunny days fade and we're left facing another long, cold winter I just can't bear it. I think it probably stems back to being a kid as I still get that dreaded September back-to-school feeling when the nights draw in and the leaves turn brown. 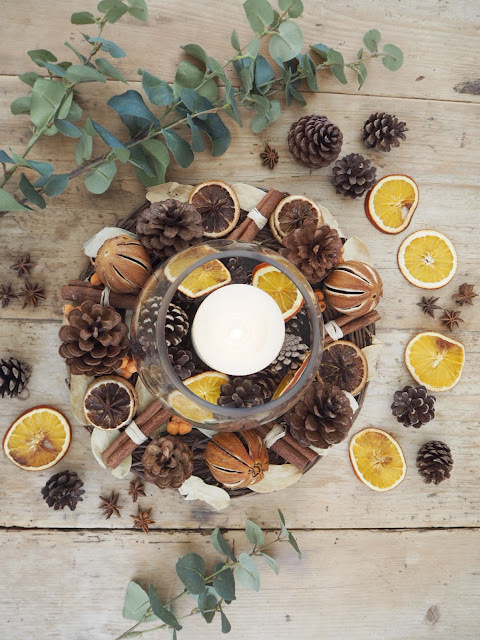 So if you're like me, and need a little pick-me-up this time of year, there's lots of things you can be doing at home to embrace the changing season! 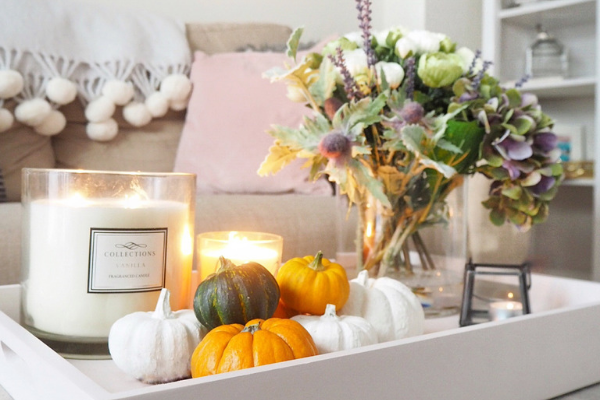 I bang on about this all the time, so I'll keep it short - basically this is something else I do a couple of times a year, as its so nice to update your home and embrace the new season. I shared my favourite new season bits (all for under £20 so not going to break the bank), and usually change up my throw/accessories to autumnal tones. Basically get rid of the springtime pastels and crack out a candle or two. We'll definitely be needing to do this more than ever this year - why not have an 'autumnal clean', and get rid of any junk you don't need. It's always good to have a clear out (I shared my de-cluttering tips back in the Spring, but they can all apply this time of year too), especially with Christmas coming when I'm sure we'll accumulate even more stuff! These storage boxes under our TV are currently having a right seeing to. It's always at this time of year that I realise just how cold my home can get (I say cold, I mean bloody freezing). Make sure you're eliminating any unnecessary drafts through thick curtains/blinds and draught excluders, which will in turn save you money in energy costs too. What tips do you have for embracing Autumn in your home?